A Perfect Location for a Wedding Abroad or a honeymoon, Bodrum, in the southwest Mediterranean coast of Turkey, embodies a traditional and Mediterranean way of life. The charming, coastal town is home to a medieval castle, dazzling beaches and numerous art galleries. 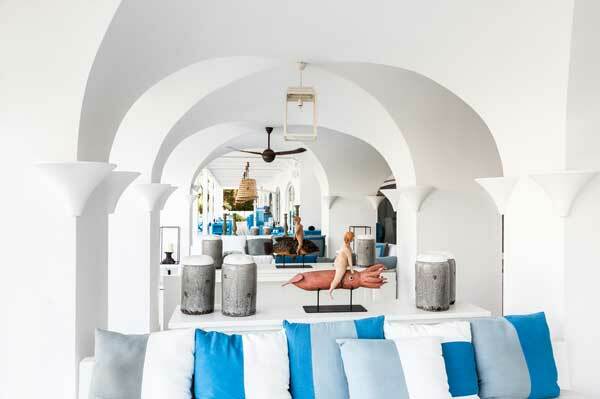 Located in a sheltered cove with deep blue waters and pine-covered hills, five-star Il Riccio Beach House, one of the hotels within Mytha Hotel Anthology, welcomes guests with first-class hospitality and its own private beachfront. Immersed in lush greenery, the exclusive retreat features ten beautifully designed guestrooms and spacious grounds. Nestled in the picturesque Aegean bay, every aspect of the hotel is inspired by the sea. Light, white spaces offer a blank canvas for a memorable stay, with just ten rooms and suites all with views of the bay, the mood is more home than hotel.